Lindsey wrote this recipe down for me back when we were seniors in high school and I was collecting recipes for one of my personal progress goals. 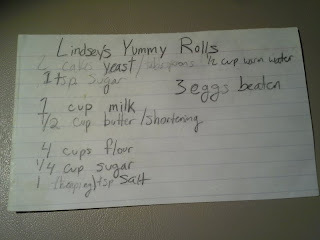 This recipe is, hands down, the best roll recipe I have ever made, and I have tried quite a few different recipes. Not because I was looking for something better but because I kept misplacing this recipe card and I would search futilely for a suitable replacement. 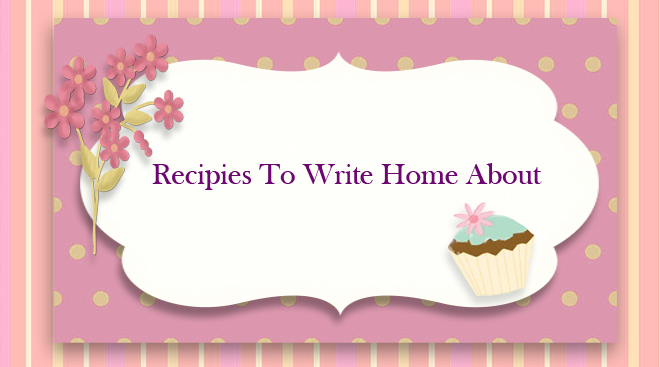 The last time I lost this recipe was a few months ago. I searched through every one of my cookbooks, of which I have several, to see if I had slipped it in one of them. I couldn't find it. I tried not to panic until we had moved to our house thinking that I would certainly find it when we had moved everything and cleaned. I still didn't find it. So I searched through all of my cookbooks again. Still nothing. I gave up, heart broken, not just because my favorite roll recipe was gone but because one of the last things I have of my dear friend was gone. 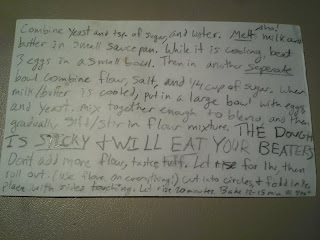 It has been about a month since I gave up hope on ever seeing this recipe again when I suddenly found it. I opened up my cookie and candy cookbook to get ready to bake cookies for Eric's work for Christmas. The first page opened and out fell this recipe card. I had searched through every page of that cookbook at least twice, probably more and never seen it and it had been in the first page all along. I was over joyed. And I decided immediately that I needed to post this online so that I will always have a copy of it somewhere. 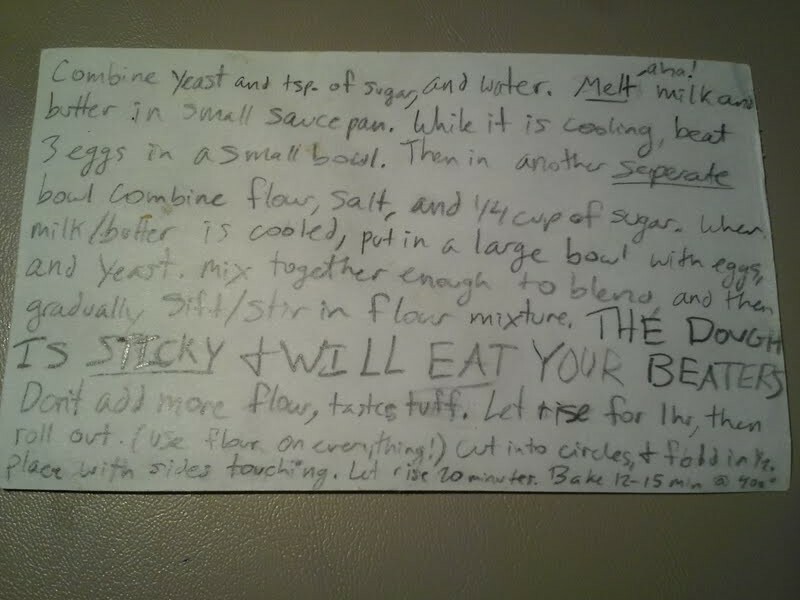 I have also decided that I should probably laminate the thing, as she wrote the recipe in pencil and parts of it are already smudged and getting hard to read. Combine yeast and sugar in water. Melt butter with milk in a small sauce pan. Cool. Combine flour, salt, and 1/4 c. sugar. When butter and milk are cooled combine with the beaten eggs and yeast. Stir, then gradually sift the flour mixture into the liquid. The dough is very sticky but do not add more flour. Let this rise for 1 hour then roll out. You will need flour on every surface. Cut the rolls into circles and fold in half. I always put butter on each circle before folding in half. Place on a baking sheet with the sides touching. Let rise 20 minutes and bake for 12-15 minutes at 400 degrees. Enjoy these AMAZING rolls!